15 March: president Almazbek Atambayev makes a speech in Bishkek, accuses journalists of slander. Image: Aslanbek Pazyl / YouTube. Some rights reserved.Compared to neighbouring states in Central Asia, Kyrgyzstan looks like a democratic country. Our relative freedom of the press remains the clearest sign that democracy exists in some form here. 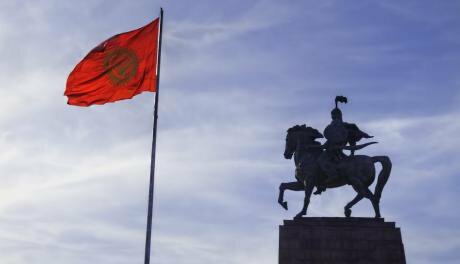 But over the past 25 years of independence, Kyrgyzstan’s authorities have learnt all too well how to manipulate the system. Today, the principles of parliamentarism, free elections and the separation of powers exist in name only – the task of defending democracy now rests largely on the shoulders of Kyrgyzstan’s journalists. But the wide-ranging attack on our independent media and the opposition, which began after president Almazbek Atambayev returned from Brussels in February, shows that the Kyrgyz leadership intends to destroy those who can restrain the authorities – they don’t seem worried about the results of upcoming presidential elections, which are set for November 2017. Indeed, Atambayev often focuses on praise from European Union officials regarding Kyrgyzstan’s progress towards democracy, indirectly invalidating criticism from local journalists. On 24 February, the Social Democratic Party of Kyrgyzstan (SDPK), which Atambayev calls the “presidential” party (although Kyrgyzstan’s Constitution forbids the president from political party activity), filed a suit against the 24.kg news agency, its journalist Tatyana Kudryavtseva and Rita Karasartova, director of the Institute of Civic Analysis. In an article (“The regions of Kyrgyzstan bear their teeth to the party of power”) published on 8 February, Kudryavtseva quoted Karasartova on the behaviour of the SDPK ahead of Kyrgyzstan’s presidential election this November: “They’ve got carried away in politics, they’re selling positions left and right.” The party is now demanding one million soms (£11,500) in compensation from 24.kg and Karasartova. The first court hearing took place on 10 March in Bishkek, with the next held on 23 March. Ten days after the SDPK filed its suit, Indira Dzholdubayeva, Kyrgyzstan’s General Prosecutor, filed defamation suits in defence of president Atambayev against two media outlets — Azattyk (RFE/RL’s Bishkek bureau) and ProMedia, the foundation behind Zanoza, a leading source of news and investigation in the country. The first suit accuses Radio Azattyk and ProMedia of “tendentious and biased coverage of unchecked, false information, which directly concern the honour and dignity of the head of state,” and that these organisations failed to take “steps to check to ensure that [Omurbek] Tekebayev’s personal opinion conformed to reality”. Omurbek Tekebayev, the “uncontrollable” leader of the Ata-Meken political party, was arrested on 26 February on bribery charges. In November 2016, Tekebayev, leader of Kyrgyzstan’s Ata-Meken party, announced that he was collecting materials in order to open impeachment proceedings against president Atambayev for March 2017. The second accusation concerns articles that Radio Azattyk and Zanoza published on 13 February. These materials reported, on the basis of an interview with Omurbek Tekebayev, that the Ata-Meken leader had “found information regarding Atambayev’s property in offshore structures in Cyprus.” Other media reported this news too, and Azattyk and Zanoza published the reaction of the presidential press office on the very same day. Dzholdubayeva is asking the court to make Radio Azattyk pay 10m soms (£116,000), and ProMedia – three million soms (£34,000) compensation to president Atambayev. The parties concerned first met in Bishkek’s Lenin district court on 15 March. In the General Prosecutor’s second suit, the main defendants are Tekebayev’s legal team — Taalaikul Toktakunova and Kanatbek Aziz, with Azattyk and ProMedia as co-defendants. 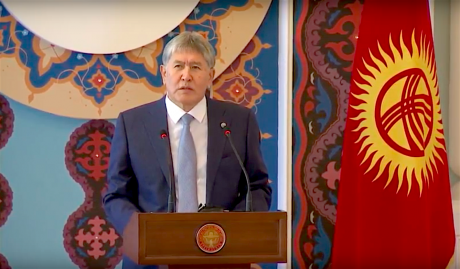 Toktakunova and Aziz, Tekebayev’s solicitors, held a press conference on 1 March, where they reported that the alleged contraband cargo on board the Turkish cargo jet that crashed near Bishkek in January 2017 in fact belongs to president Atambayev. According to Aziz and Toktakunova, the Kyrgyz authorities detained Tekebayev on the suspicion that he possessed documents relating to this allegation. Kyrgyzstan’s General Prosecutor accuses Azattyk and Zanoza of “distributing false information” from Tekebayev’s solicitors “without fact-checking the information presented at the press conference”, and giving this information a “political flavour”. Almost all Kyrgyz media covered this press conference. What’s more, despite the fact that you can still watch the full video on AKIPress, only Azattyk and Zanoza are facing legal action — and these media published the Turkish ambassador’s response the same day. Who really paid for the banquet? Kyrgyzstan’s General Prosecutor filed her third suit on 13 March — this time, specifically against ProMedia and me, its co-founder, as the author of an article called “The President’s Millions: Who Really Paid For The Banquet?”, published on Zanoza on 22 October, 2015. The claims are based on two sentences in my article. The General Prosecutor considers that the sentences in question “unambiguously lead the reader to believe that president Atambayev has committed a crime, in particular, theft.” As mentioned before, Dzholdubayeva is requesting three million soms compensation, and on 15 March, Oktyabrsky district court decided to put my apartment under arrest as a precaution. Dzholdubayeva also states, in her suit against Aziz and Toktakunova, that by holding their press conference, they were trying to put pressure on the investigation into Omurbek Tekebayev. 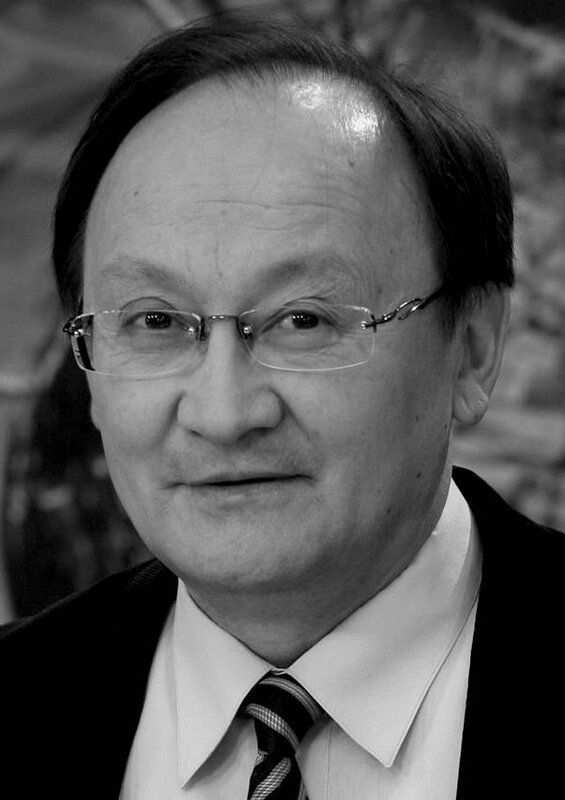 Tekebayev was arrested on 26 February on return from Vienna, where he had participated in the winter session of the OSCE’s parliamentary assembly. He is accused of accepting a one million dollar bribe from Leonid Maevsky, a Russian businessman, former Duma deputy and business partner of Atambayev, in 2010. The accusations were made following new testimony from Maevsky, but no documents have yet been published. Onto the battlefield. Ala-Too Square, Bishkek. Photo CC-by-SA-2.0: Dan Lundberg / Flickr. Some rights reserved.However, the Kyrgyz authorities themselves are in fact pressuring the court and investigation in a far more open and serious manner. Public television broadcasts biased materials against Tekebayev practically every day, and, after meeting with Vladimir Putin on 28 February, president Atambayev commented on Tekebayev’s case that a “thief should be in prison”. A week after Atambayev’s meeting with Putin, on 6 March, the same day that the General Prosecutor filed a defamation suit against the media, the president stated during a medal ceremony that “for the past two-three months people have been constantly creating parliamentary committees in parliament… Day by day, parliament is turning from a legislative institution into an institute that generates lies.” He then stated that Ata-Meken, Tekebayev’s party, “stinks”. The president also stated his opinion that Radio Azattyk, which is financed by the US Congress, is “trying to spread rumours under the holy name of ‘Azzatyk’. They don’t have to account for the funds they receive. I know perfectly well what grudges the US has against me. This isn’t about democracy or truth, but because Atambayev removed the US military base” from Kyrgyzstan. Later, the day before the first court hearing on the suit against independent media, Farid Niyazov, a presidential advisor, called the norm that prevents the authorities from suing the press, “an old stereotype”. For Niyazov, the “world has changed and the information age has now arrived”, and the General Prosecutor’s lawsuits are “one of the stages of developing and strengthening freedom of speech in Kyrgyzstan.” According to Niyazov, “Atambayev is coming out to defend the principles of freedom of speech”, and it was only the “slander” that forced the General Prosecutor to file these suits. This crackdown prior to the election campaign has met with resistance from Kyrgyz civil society. On 13 March, around 150 activists, journalists and civic figures have signed a petition addressed to the General Prosecutor to “stop its anti-people and anti-constitutional activities” and recall new lawsuits against two media outlets. 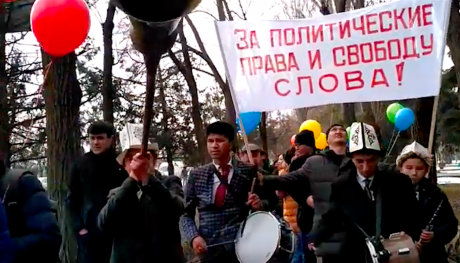 Five days later, a peace march was held in Bishkek in support of freedom of speech — hundreds of citizens took part, including parliamentary deputies, journalists, media experts, who demonstrated their solidarity with Kyrgyzstan’s media and journalists who are facing defamation suits from the General Prosecutor. Five people were detained during the march. Later that day, these people were sentenced to five days imprisonment. Peace march in defence of freedom of speech, Bishkek, 16 March. Photo: K-News / YouTube. Some rights reserved.Kyrgyzstan’s Independent Union of Journalists and the Committee in Defence of Freedom of Expression have also held forums, where media experts, journalists and civic activists have condemned the lawsuits against the media and journalists, and demanded that these cases end, characterising them as limits on freedom of speech. The participants noted in a resolution that Kyrgyzstan’s legislation frees the media from legal responsibility when quoting public events. Civic activists are now collecting signatures to hold parliamentary hearings on this issue, and Tekebayev’s legal team have appealed to the Constitutional Chamber, as Kyrgyzstan's 2003 Law on Guaranteeing the Actions of the President (which forms the basis of the General Prosecutor’s suits against Azattyk and ProMedia) contradicts the country’s new constitution, passed after the December 2016 referendum. The authorities’ targeting of these media for punishment shows that they’re trying to clear Kyrgyzstan’s media environment before the elections later this year. The main television channels, including the public broadcaster, have long broadcast only what the authorities allow.